If your child was not treated properly in the emergency room, speak with a St. Louis medical malpractice attorney. Children have special needs medically, which is why their routine care is handled by specialized pediatricians. In emergency situations, it is even more imperative that a physician who has been trained specifically in the developing anatomy of a baby or child be called upon. They have a deeper understanding of the complexities of young bodies and the best way to treat them. If your child or baby was not treated properly at a recent visit to the ER or other emergency care facility, speak with a St. Louis medical malpractice attorney. There is a standard of care that must be followed by emergency room personnel. This includes ensuring that children are seen by the appropriate type of doctor in a timely manner. 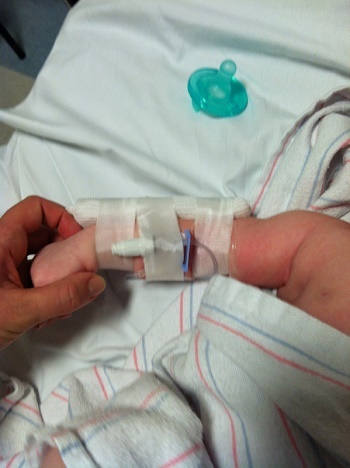 There are certain congenital defects that do not always present themselves right away. A diaphragmatic hernia is one such defect that may not exhibit any symptoms for months after the birth. A diaphragmatic hernia is a hole in the diaphragm that will eventually become life threatening if not treated, affecting the way in which a baby breathes. This is what happened to a Missouri couple and their eight month old son. When he went into respiratory distress, the parents brought him to a local emergency room immediately. The lack of oxygen caused the infant to go into cardiac arrest, resulting in an anoxic brain injury. This occurs when the brain has been deprived of vital oxygen for four minutes or longer. The parents and their medical malpractice attorney were able to show how the permanent brain injury could have been prevented had the proper type of physician been called in immediately. Pediatricians are trained in this type of birth defect and could have recognized the signs earlier. In addition to a late diagnosis of the cause of the respiratory distress, the hospital and treating medical staff were found to have not monitored the baby boy’s vital signs properly, did not obtain relevant laboratory results, did not assist the child with a breathing tube nor supply IV fluids. All of these actions would have helped in preventing the permanent brain injury. Because of the overwhelming evidence of medical negligence and the permanence of the injury, the hospital agreed to a settlement of $2 million. The award will be applied towards the future care of the baby and making sure that his future is as comfortable as possible. No parent wants to see their young child’s life altered in this way, but if medical negligence does cause irreparable damage, seek compensation to ensure that their future is protected. If you find yourself in the unfortunate position of having to bring your child to an ER, insist that they be seen by a pediatrician as soon as possible. The specialized training and experience that these physicians have is incomparable when it comes to diagnosing illness and injury in a small child who cannot speak for themselves. Contact a St. Louis medical malpractice attorney if it is your belief that the correct protocols were not followed in your child’s medical case, causing them more harm. Together you and your attorney can obtain the compensation your child deserves, to secure them a safe future. 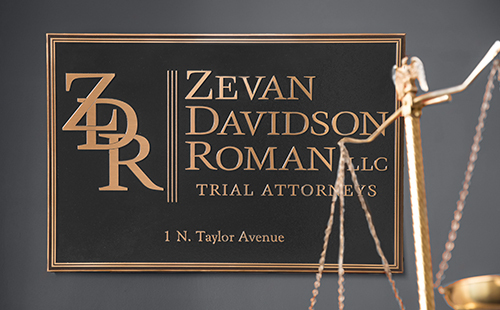 Call Zevan and Davidson Law Firm at (314) 588-7200.